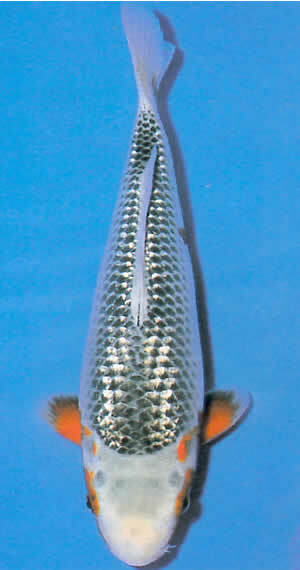 First found and named "Gingoke" in 1929 by Eizaburo Hoshino who was a great contributor to the improvement of Nishikigoi. 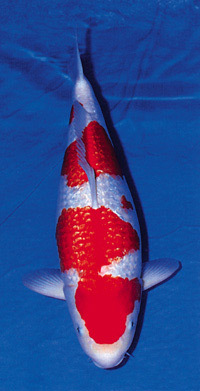 Kinginrin means "golden, silvery scale" and refers to the golden scales over Hi and silvery ones over sumi or white areas. I prefer the one to the right of the picture but not sure if I would ever have one of these In my pond!